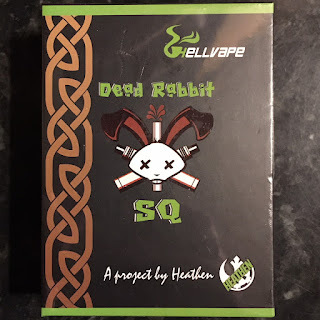 Today we're taking a look at the Dead Rabbit SQ by Heathen and Hellvape... We've all seen the original Dead Rabbit out there and the first thing I'm going to talk about is the name, as I see so many people asking out there, “'Dead Rabbit' that's... erm... nice...? !” Well, firstly Heathen, the awesome youtube reviewer who designed this loves the movie “Gangs of New York” and if you remember, one of the gangs are the Dead Rabbits, so now it all starts to make sense, but if you dive a little closer and look at the deck, you'll see little floppy bunny ears sat there waiting for your coils and it all comes together! This Dead Rabbit SQ is the new single coil, 22mm version designed for squonking, and I don't want to jump the gun here, but it's bloody brilliant! So, what do we get in the box? 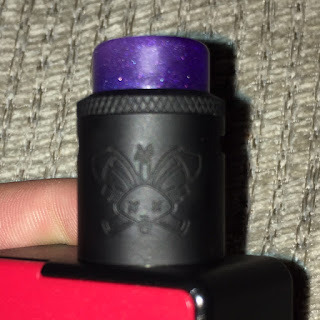 Hopefully you'll find an RDA with a gorgeous, but unfortunately random coloured resin drip tip, my initial one was purple and as I wanted to use this on my red VandyVape Pulse squonker then I was a tad annoyed to say the least! Then if you open the little box you'll find an extra Delrin 810 drip tip, a 510 drip tip adaptor and Mouth to Lung (MtL) drip tip, then a whole selection of allen keys, spares and a great little flat head screwdriver. 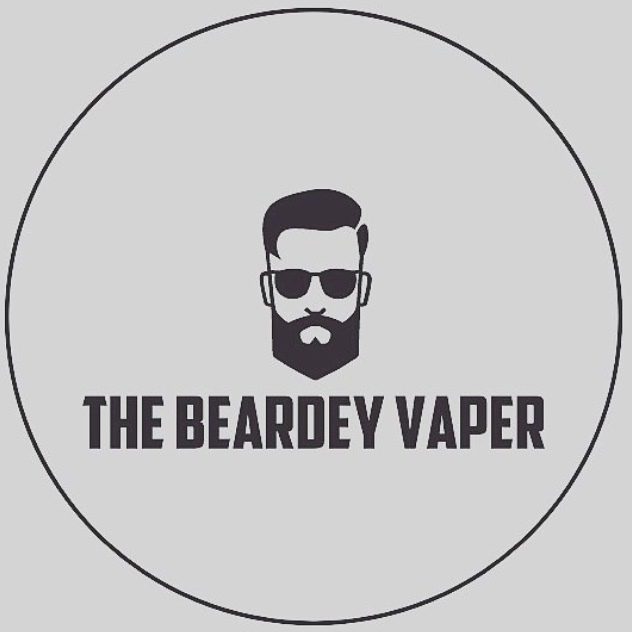 I'm going to touch on the MtL usage of this firstly as it's probably my only real complaint, it just didn't seem to work well for me, whether I'm just being fussy I'm not sure, and I will keep trying with different builds and liquids, I just haven't found my sweet spot with it yet! However, the building on the raised bunny ear deck, the locking barrel (which stops your airflow moving around), the angled airflow straight to your coil and the little bit of PEEK insulator that directs your juice from the squonk pin to your cotton are just perfect, I can't fault them in any way! I have the blacked out version here, and I've also found it online in stainless steel and a black with silver coloured engraving, and it just looks gorgeous. 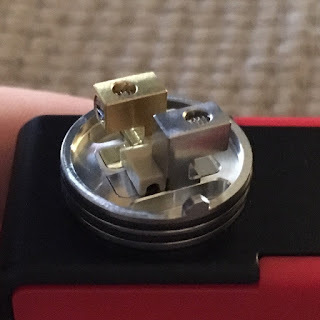 I've had a roughly 0.12 ohm build in it for my testing, on top of a Vandy Vape Pulse mod and the flavour and cloud production are just amazing, I really can't fault it. So in conclusion, yes there are little gripes, I personally don't like the MtL usage of this and the random coloured drip tips can be a little annoying, but throw a bit fat Ni90 single coil in there, crank open the airflow, get a fresh battery in your device and it'll throw clouds with the big boys, for the amazing price of just £22 online if you've a squonker and you're looking for an RDA on it, you can't really go wrong with the Dead Rabbit SQ!